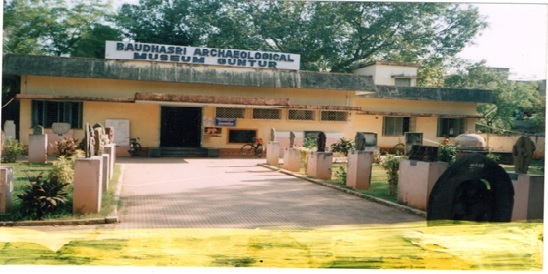 Baudhasree Archaeological Museum is located opposite to AC college in Guntur Town. The museum is established in the year1992. The museum houses Buddhist sculptures, inscriptions, Prehistoric artifacts, Bronzes, Copper Plates, Palm Leaf Manuscripts, Coins, Wooden objects, Paintings and Stone Sculptures. Timings: The Museum is open from 10.30 A.M to 5.00 P.M and closed on Fridays and Public Holidays.